Single-gene analysis has been the standard analytic method since DNA sequencing was originally performed. In practice, it was too time-consuming and expensive to perform analysis on more than a few exons or genes at a time. The nature of high-throughput sequencing has altered these calculations, and large panels of potentially pathogenic genes or even whole exomes or genomes are sequenced routinely. However, the techniques and equipment useful for high-throughput sequencing can be applied to single-gene targets in specialized situations. 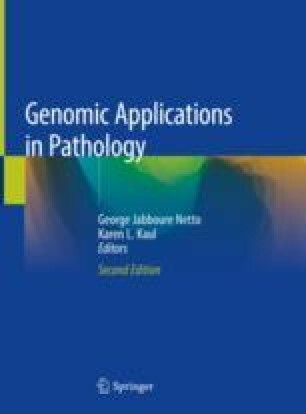 This chapter discusses these applications in minimal residual disease detection, infectious diseases, and HLA typing, among others. https://www.accessdata.fda.gov/cdrh_docs/pdf16/p160038c.pdf. Accessed 27 Apr 2018.
https://www.accessdata.fda.gov/cdrh_docs/pdf16/P160018B.pdf. Accessed 27 Apr 2018.